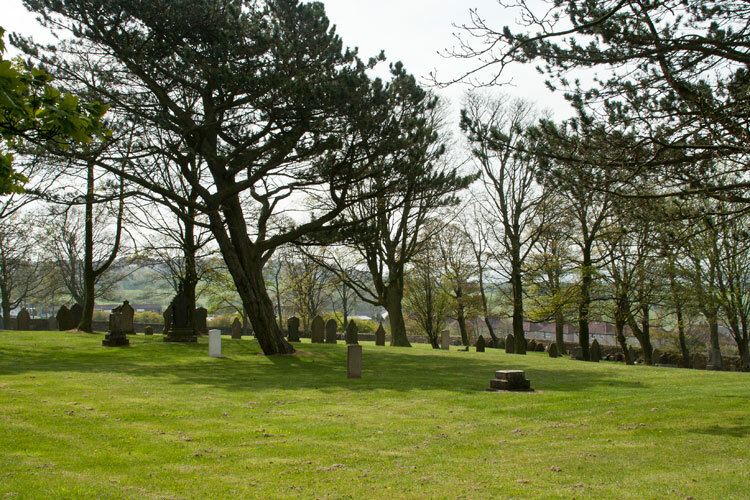 Tow Law Cemetery contains 14 burials from both the First World War and the Second World War. 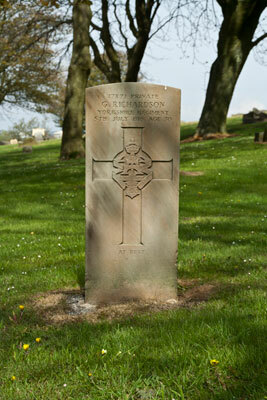 One of the First World War burials is of Private Richardson who served with Yorkshire Regiment. The section of the cemetery which includes the First World War burials appears to have been cleared, - with many older headstones standing against a boundary wall. This means that the Commonwealth War Graves appear to be somewhat isolated on their own. Select the above image for a larger version which opens in a new window. Died at home 5 July 1916. Aged 30. Thanks to some diligent research by Richard Roberts (<richard.nsw@googlemail.com>) we now know a little bit more about the above soldier. He was a miner, living at 3 Flag Row, Sunniside (near Tow Law) at the time of his enlistment. He enlisted on 30 November 1914, giving his age as 26 years 9 months. (However, there is some doubt as to the age given on enlistment). He served with the 6th Battalion at Gallipoli, and was dangerously wounded (G S W to the head) on 21 August 1915. He was posted home on 23 September 1915, and discharged as medically unfit on 9 June 1916. 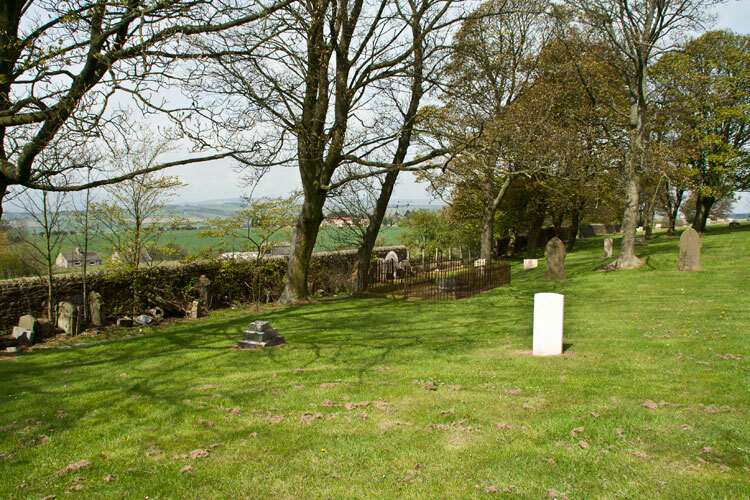 The section of Tow Law Cemetery in which Private Richardson's grave is located. His headstone can be seen in the background to the left of the tree. Note the headstones from graves which have been removed and are now standing against the wall. Another general view of the section of Tow Law Cemetery which includes the First World War graves. Private Richardson's headstone is out of view on the right.